Get your specialty caffeine fix to go: KB Café Shop! A true winning combination! 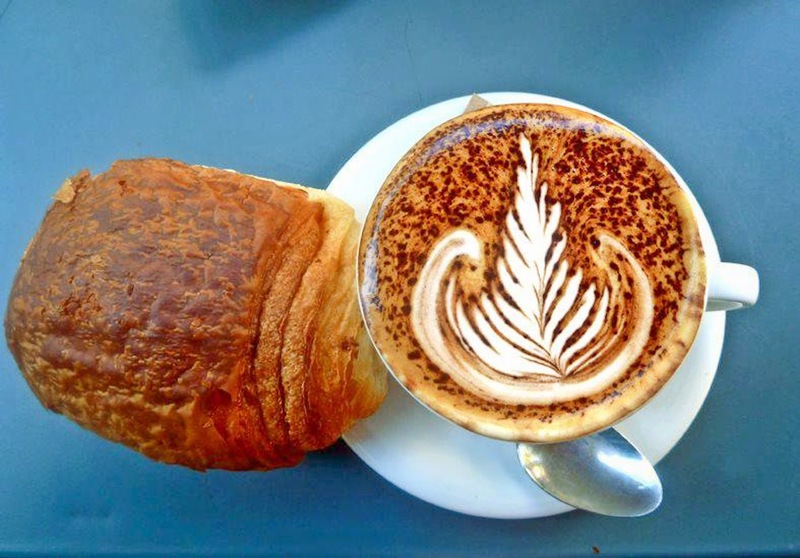 Specialty coffee and a real French pan au chocolate ! 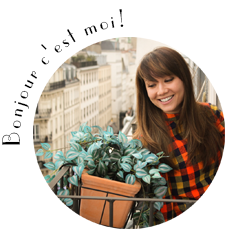 There are a few things I miss as an ex-pat living in Paris. One of those things being a big cup of joe to go! Of course Paris is sprinkled with Starbucks, but what I miss is a good take away specialty coffee that has both quantity and quality. Although the idea of a giant coffee on the run is pure sacrilege to many Europeans, there are those who celebrate it like Nicolas Piegay. Nicolas Piegay opened the KB Café Shop after discovering specialist coffee bars in Australia and is one the rising Parisians leading the barista revolution. A Californians dream! 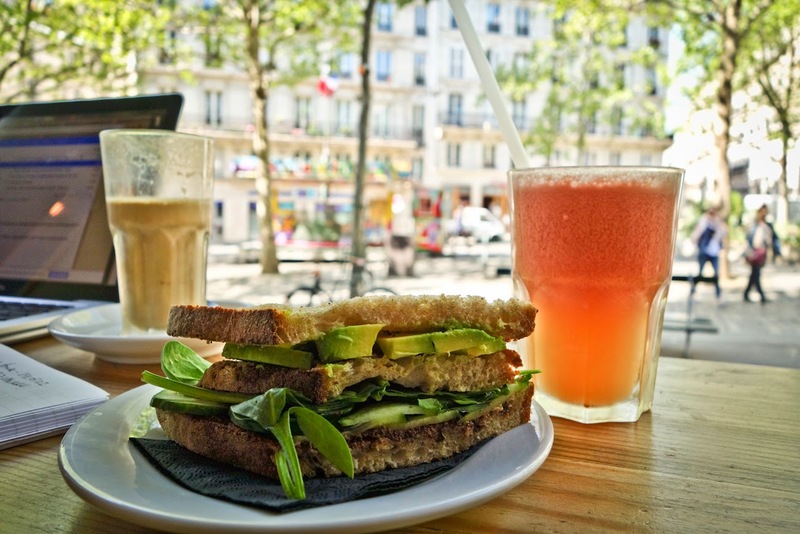 Avocado on whole wheat grain accompanied by a fresh juice concoction! 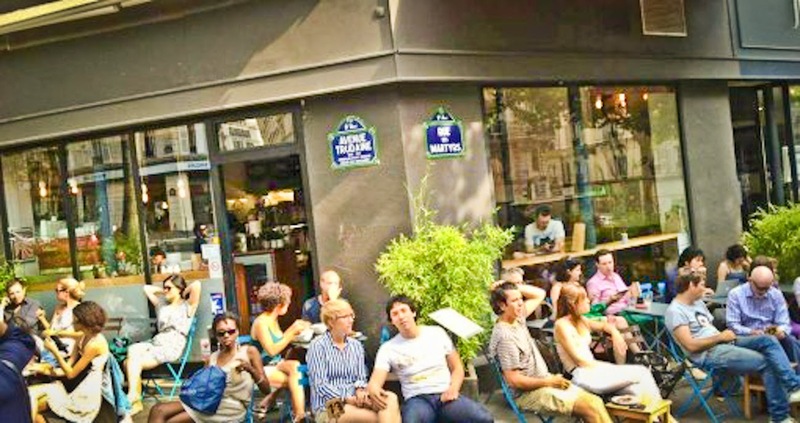 Located in SoPi (South Pigalle), on the angle of avenue Trudaines and Rue Martyrs, formerly Kooka Boora, KB Café Shop brings together foreigners, serious "bean heads", creative types, students, hipsters, businessmen and is a gathering place for the neighborhoods BoBo (bourgeois bohemian) "yummy mummies". 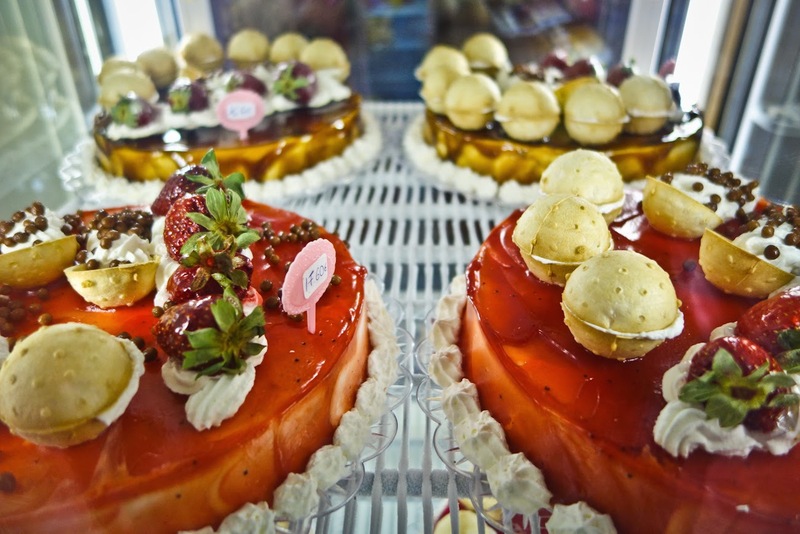 Although KB's wide variety of delicious specialty roast brings all of these different types of people together, the café also serves up delicious healthy fresh home made bites, fresh juices, teas and deserts. With a killer location, wonderful "work" environment, a great large terrace and free wifi, its no wonder why people opt to sip their coffee at the cafe as opposed to taking the grab and go option! KB Café Shop is open Mon-Fri 7:30am-6:30pm; Sat-Sun 9am-6:30pm. 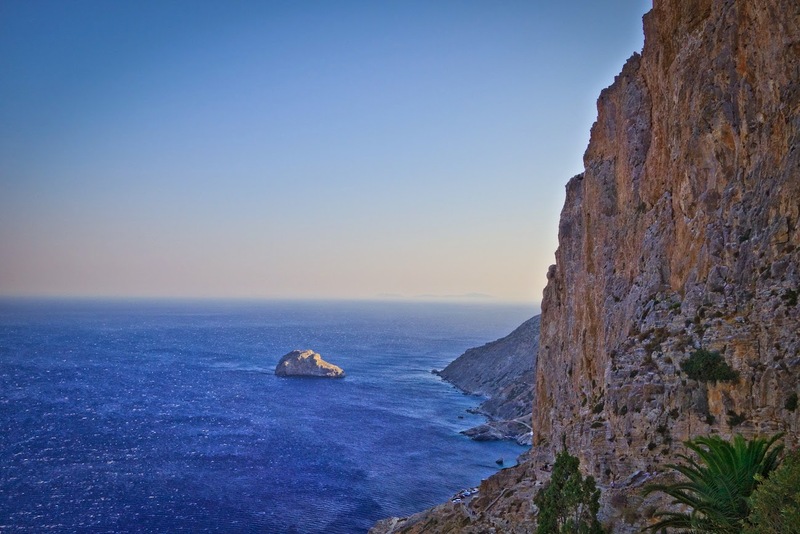 Far away to the east, in the Archipelago rises the island ridge of Amorgos, the most eastern island of the Cyclades. 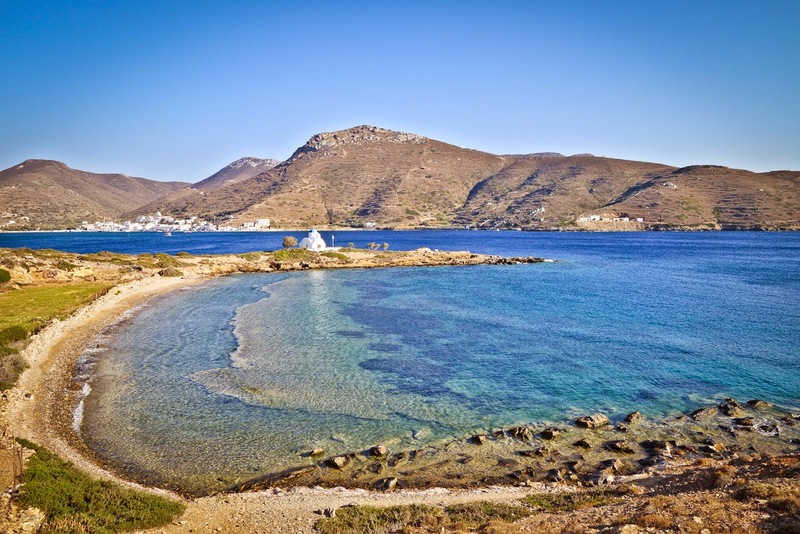 At 47 sq miles, it is the seventh largest island in the Cyclades and is a small slice of paradise. 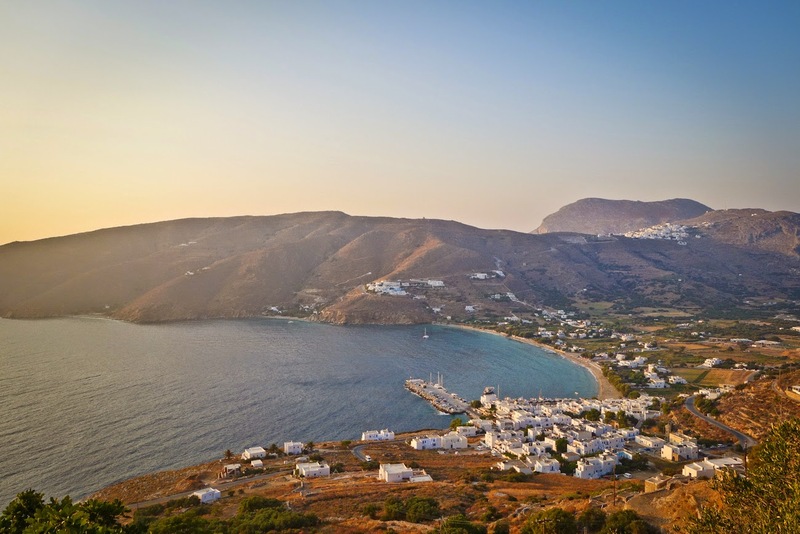 With its crystal clear blue waters, stark white homes with colorful doors and shutters, clean vine draped villages and peaceful atmosphere, this enchanting island is truly a place like no other. 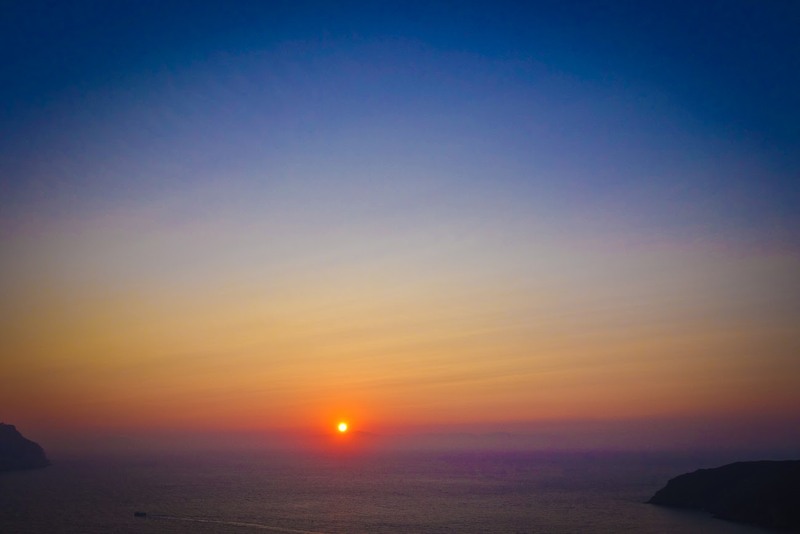 Unlike the more famous Greek Islands, Amorgos remains un-commercialized and retains its authentic Greek character making it the perfect place to escape and relax. The islands history is ancient and rich. 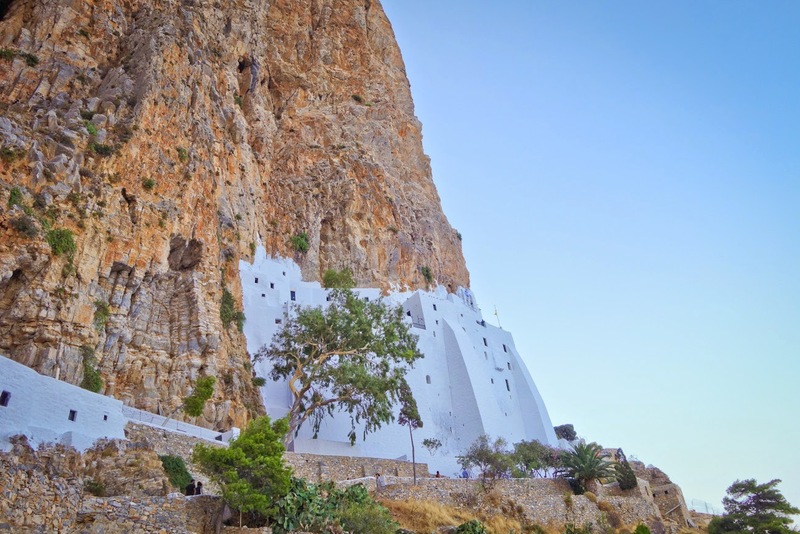 Before getting its current name, Amorgos was called Minoa, where the pre-historic cycladic city of Minoa flourished. 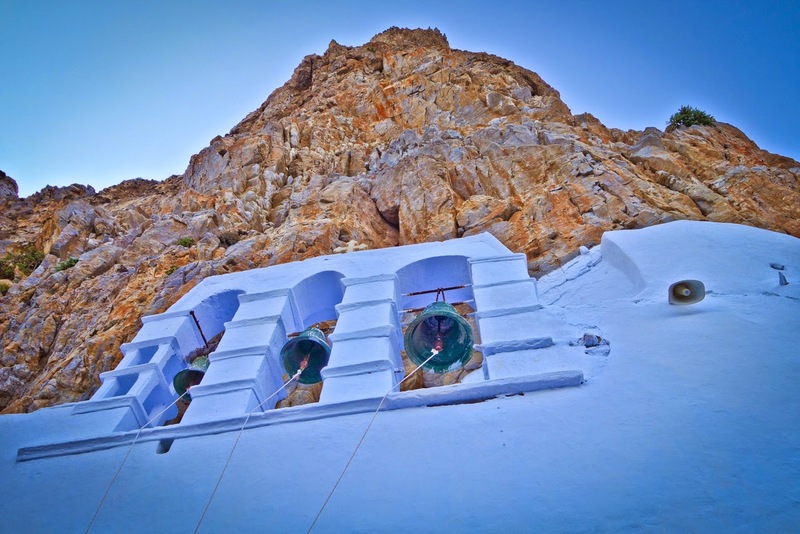 Early signs of organized life dating from the end of the 4th millenium B.C., at the end of the Neolithic age, exist in Amorgos. During the Classical Age, the island traded with many other islands and city states on the mainland, and its linen was the island's pride. Remains from the classical period are still visual today with ruins of sanctuaries dedicated to Dionysus Minoitis as well as Aphrodite. 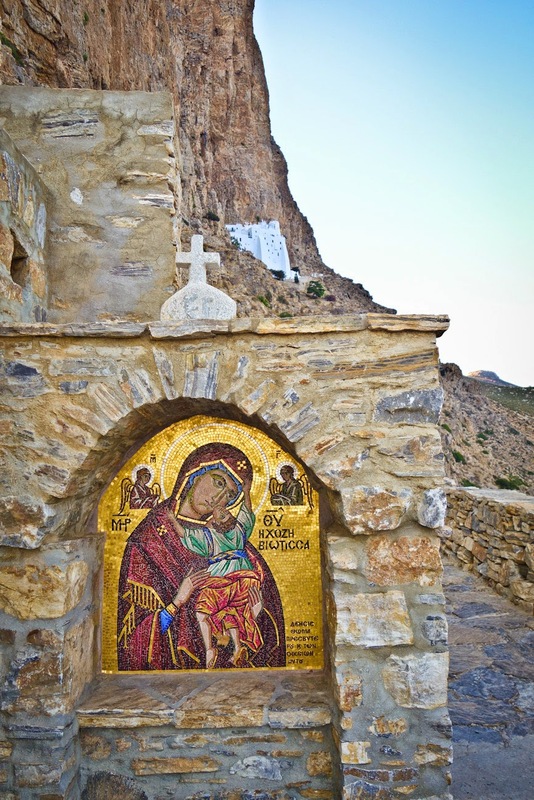 In 1207 the Aegean Duchy under the Venetian Marcus Sanoudos included Amorgos, and the Venetians were to rule the island until the Turkish takeover in the 15th century. During this period not many people lived on the island, and apart from the Turkish enslavement they had to suffer constant pirate raids. 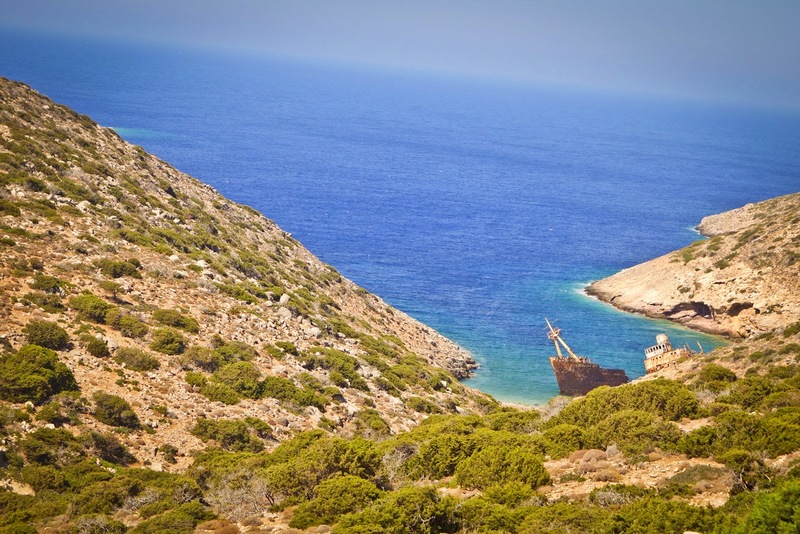 One of the most tragic periods for Amorgos was during the Second World War, when the island was completely isolated. 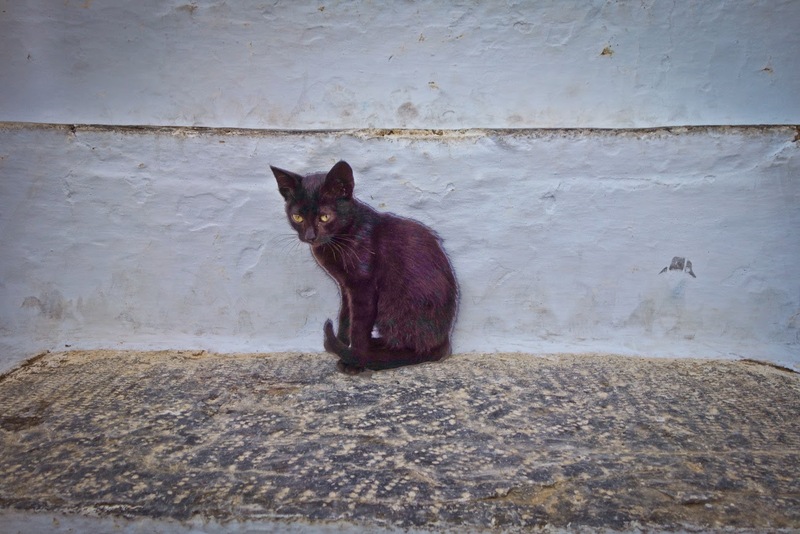 Cut off and far from the mainland many locals starved to death. Only more recently, with the increase of tourism on the island, have some of the islanders have moved back from the mainland. 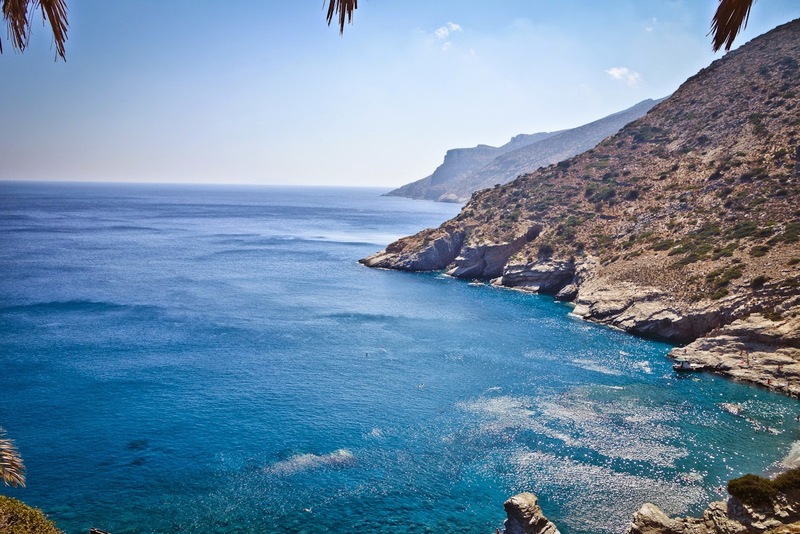 The coastline is extremely rocky with sheer cliffs rising from the sea. The landscape is rough and mountainous, especially in the north. Once an island visited by the occasional backpacker, the island was brought into the spotlight with Luc Besson's film "The Big Blue" and since its release in 1988, many have come to see the iconic images portrayed. 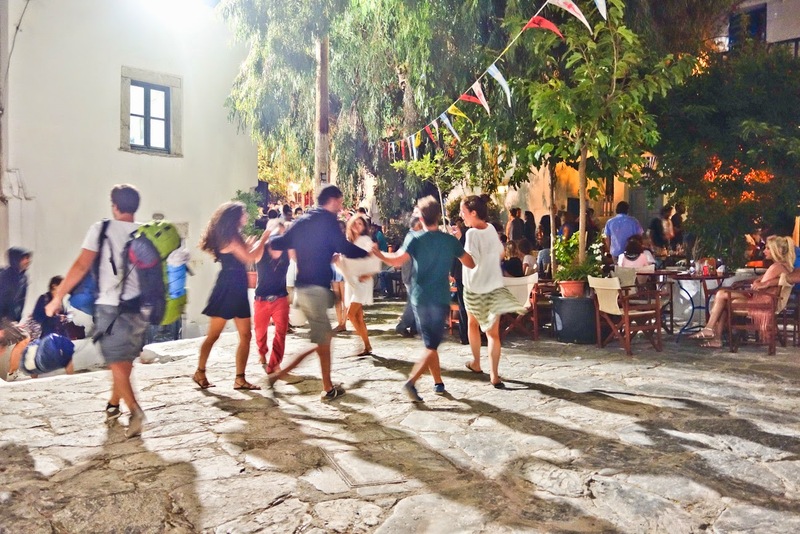 It is also no great surprise that there are more French holiday makers in the Island than any other group (the other major cultural group being Italians). 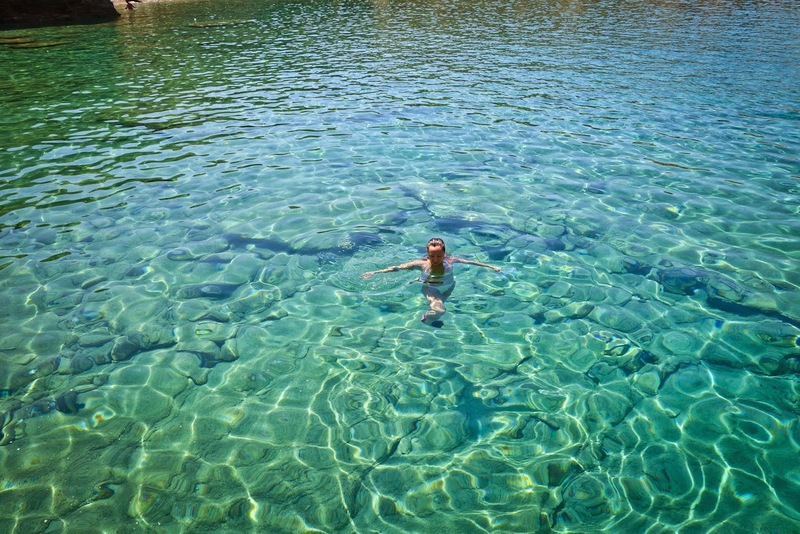 During the non-tourist season the island is home to approximately 2,000 inhabitants. 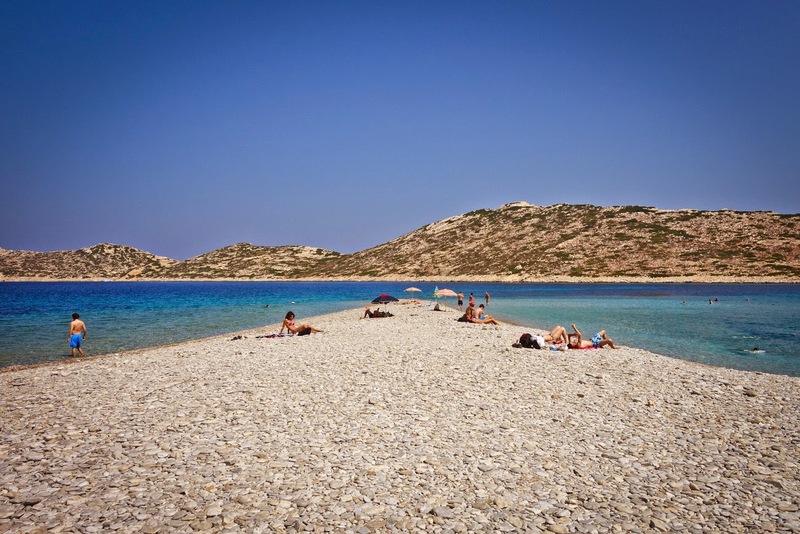 During the busy tourist season (July and August) the island population multiplies. 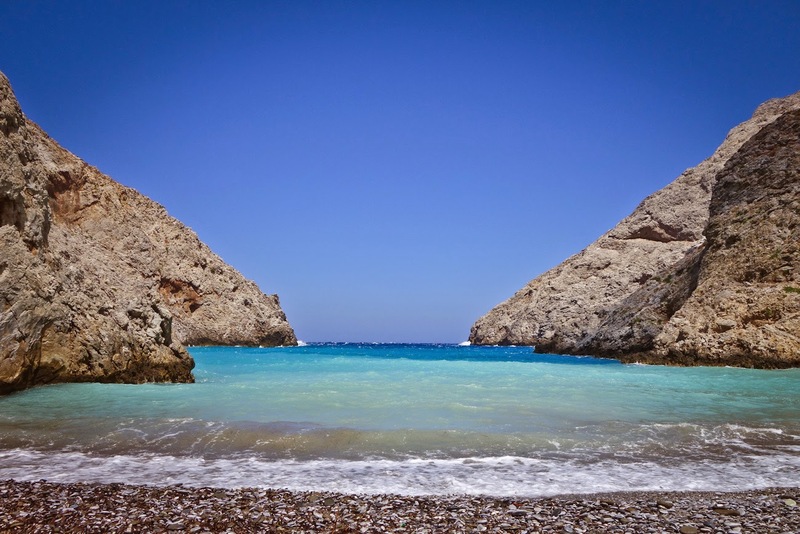 However, even in the islands most busiest months, one can still find uncrowded beaches (or completely isolated beaches for the more adventurous visitor). 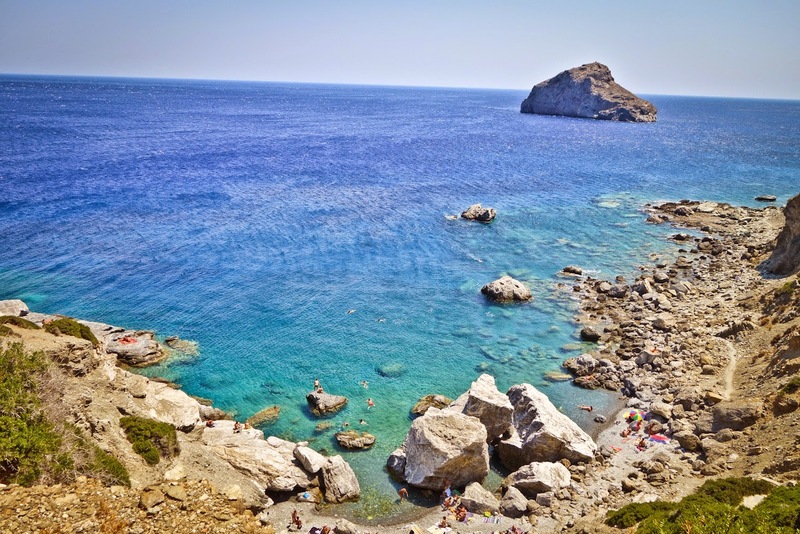 Due to the difficulty of reaching the beaches (steep rocky climbs to access the sea) and the rock beaches, Amorgos is not the most kid friendly. 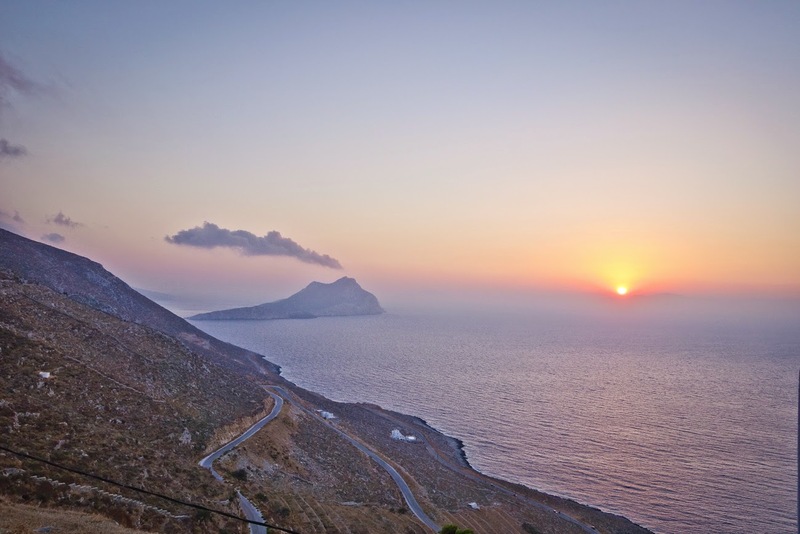 The island provides two ports as there are no airports in Amorgos; Katapola in the center and Aegiali in the north. Katapola is the largest bay and a historical safe sea-refuge exposed only to the west winds. 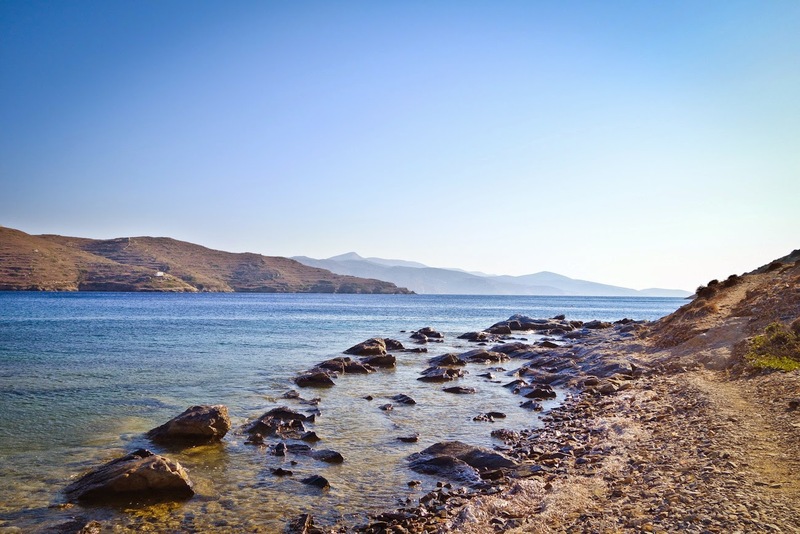 Aegiali's bay in the north is wide and open. We arrived to Katapola by the Blue Star Ferry from Athens. 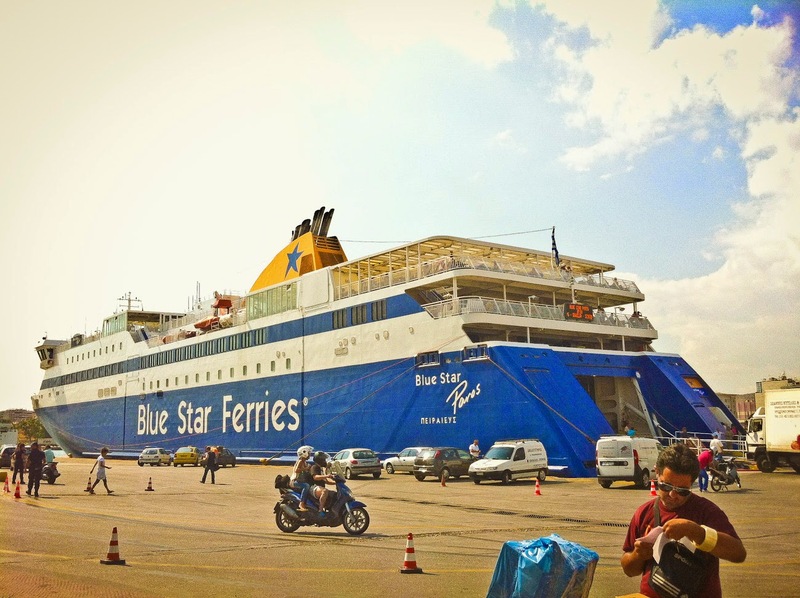 Although the Blue Star Ferry is the slowest (9 hours from Athens) it is the most reliable, comfortable and will run even when the seas are restless. 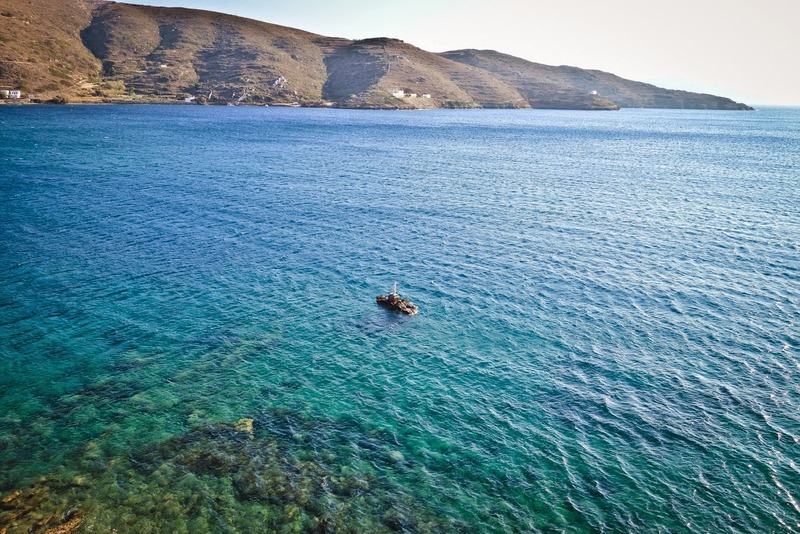 You can also take a SeaJet which is only 5 hours from Athens but they are often delayed or even canceled if the waters are rough. 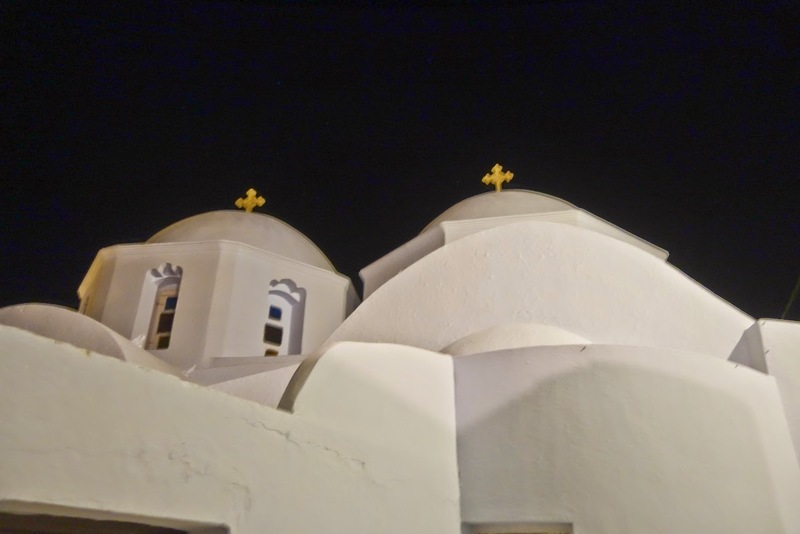 The closest airports to Amorgos are on Mykonos, Naxos or Santorini, and from there you can get Ferries to Amorgos. 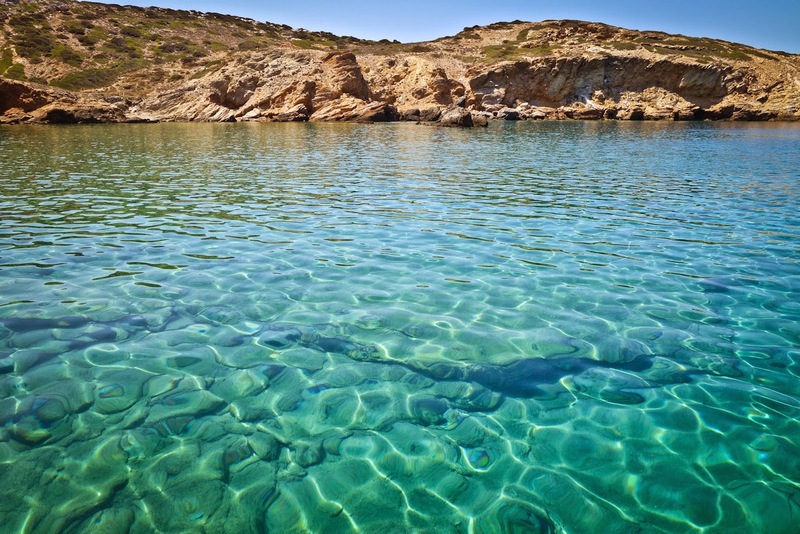 During the high season there is also a connection with Mykonos as well as hydrofoils.At Katapola or Aegiali it is easy to rent a car or a "moto" (scooter) as having wheels is the best way to get around the island (you can also reserve with Thomas before you arrive). 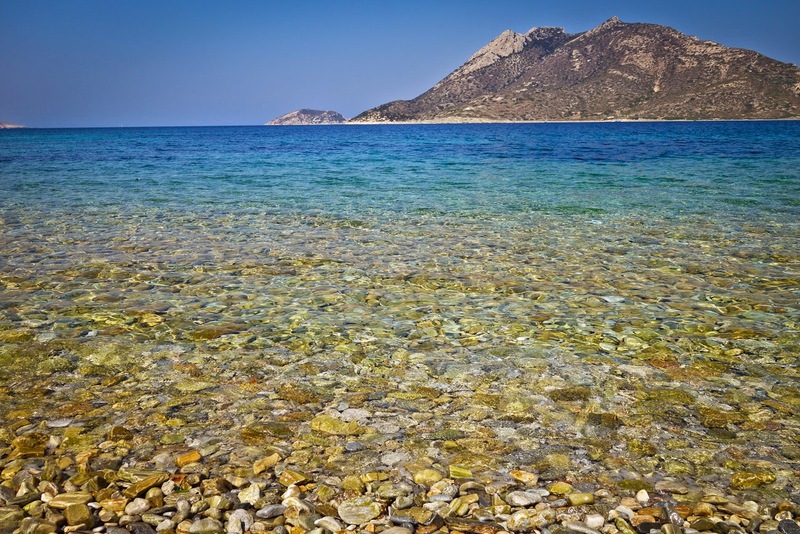 Along with the rest and relaxation Amorgos provides there are also many day time actives (hiking, snorkeling, diving etc). Amorgos also has great little local shops including bookstores which sell DVD's and books (with a small selection in english!). 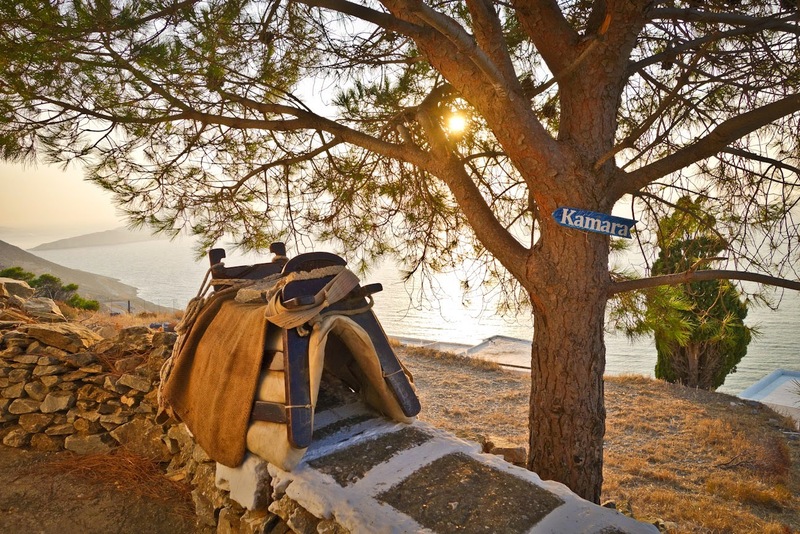 If you didn't pack enough Greek cool cotton/linen island wear for your trip, need a beautiful new pareo for the beach or want the best all natrual creams or products, you can visit one of the many local shops in Aegiali, Langada, Hora or one of my favorites, Rita DeCarlo's To Poidakl in Katapola. One of the largest surprises I encountered is how genuinely friendly the locals are. 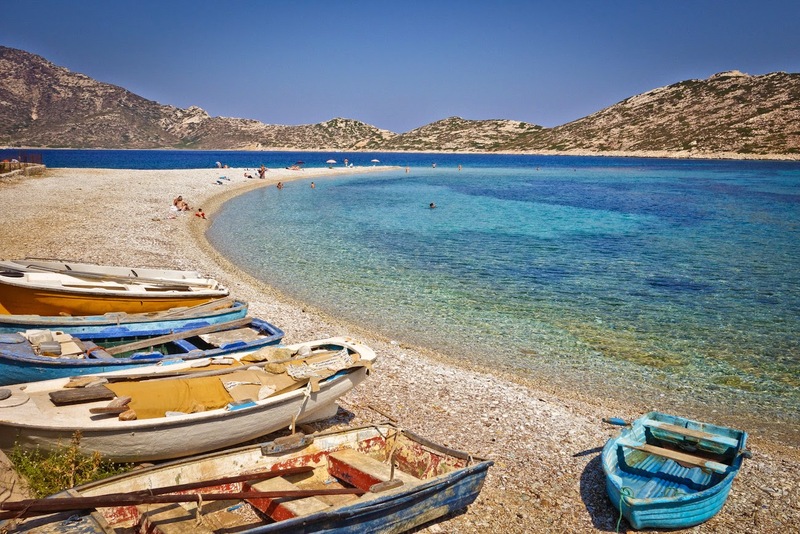 If you are short on change, need directions (or a lift as hitchking is still a mode of transporation on the island), locals are happy to help and are extremely chilled out, warm and welcoming. And although the island is relaxed, the food does not suffer. 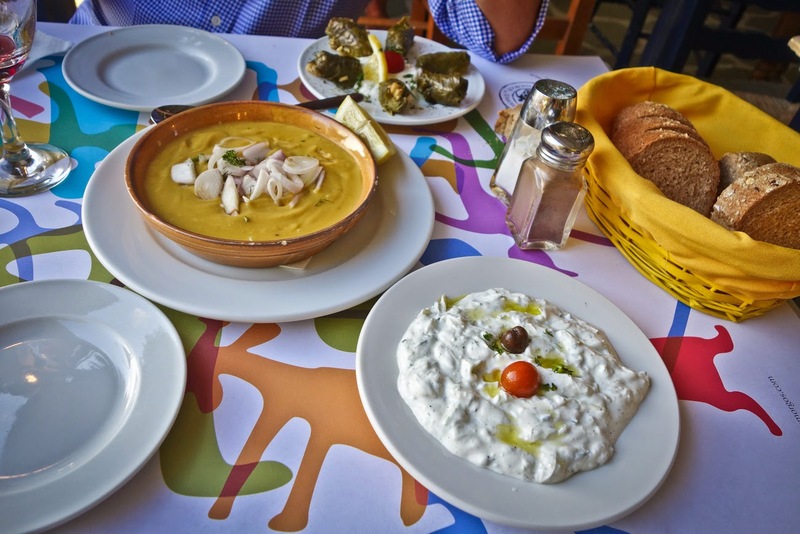 Dishes are made with local fresh ingredients including local olive oil, cheeses, herbs and vegetables. The prices are modest and one can get a multiple course meal with flowing wine or beer for 15 euros! 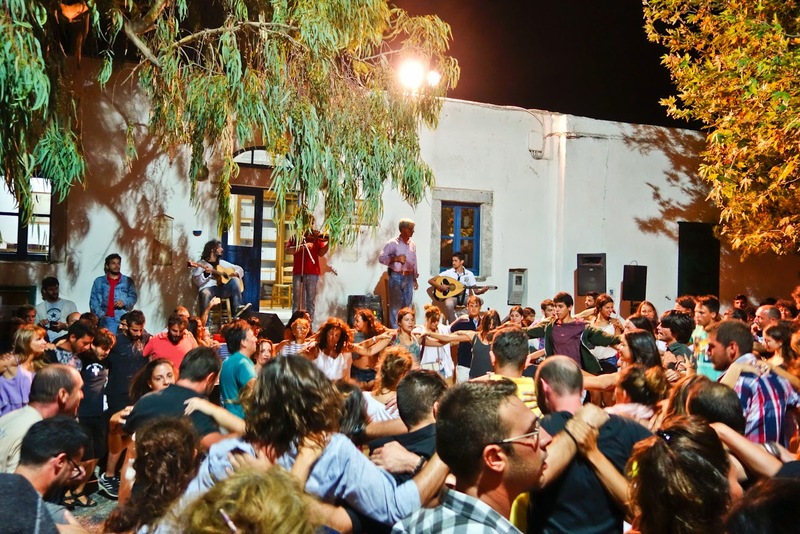 And if its nightlife you want, you can always find it as most of the restaurants/bars in Hora or Aegiali stay open until the crowd is ready to go home (late!). 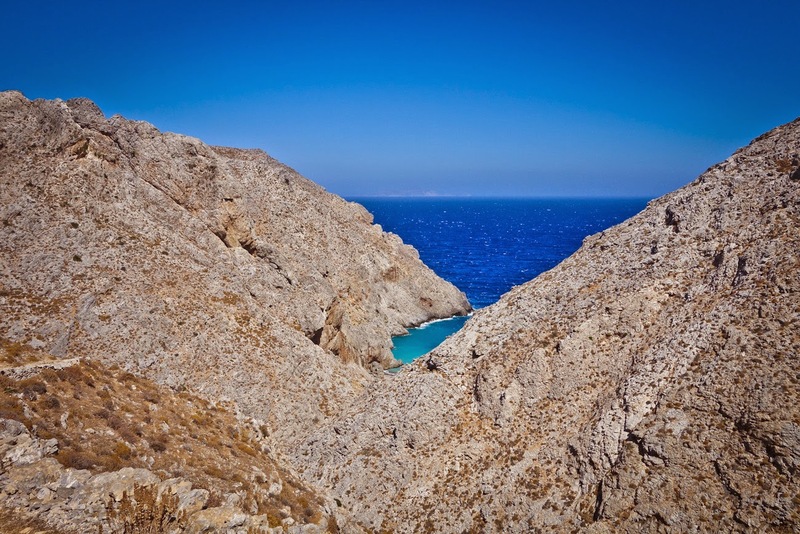 Amorgos is truly the perfect balance and offers everything one may want on a holiday (or in life in general). Although photos rarely do a place justice, here are a few snap shops from paradise. 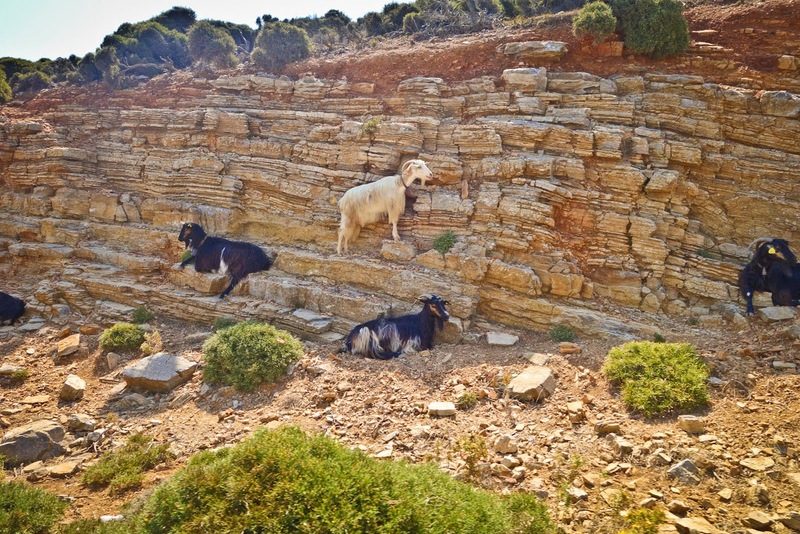 Goats roam freely around Amorgos in herds! They provide the locals (and tourists) with most incredible ingredients to make the most incredible cheese! 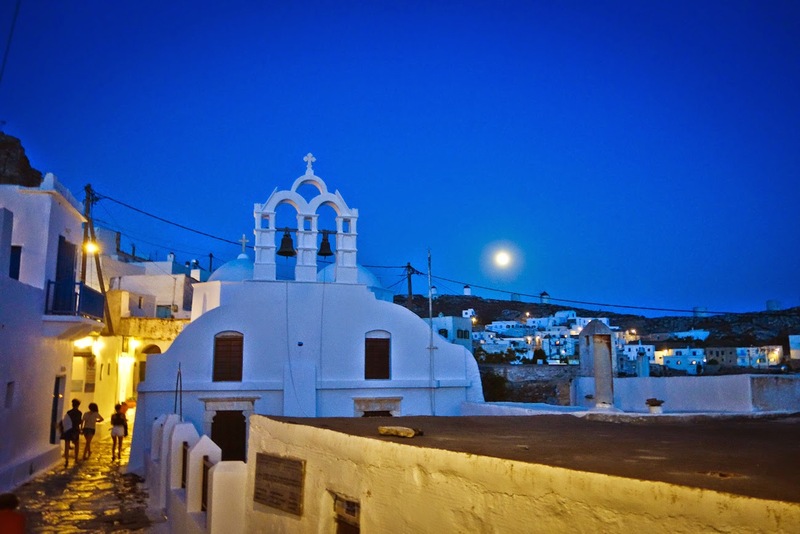 Full moon over the village Hora. All Saints Church. Early morning goodies as THE bakery in Hora. Breakfast of champions! 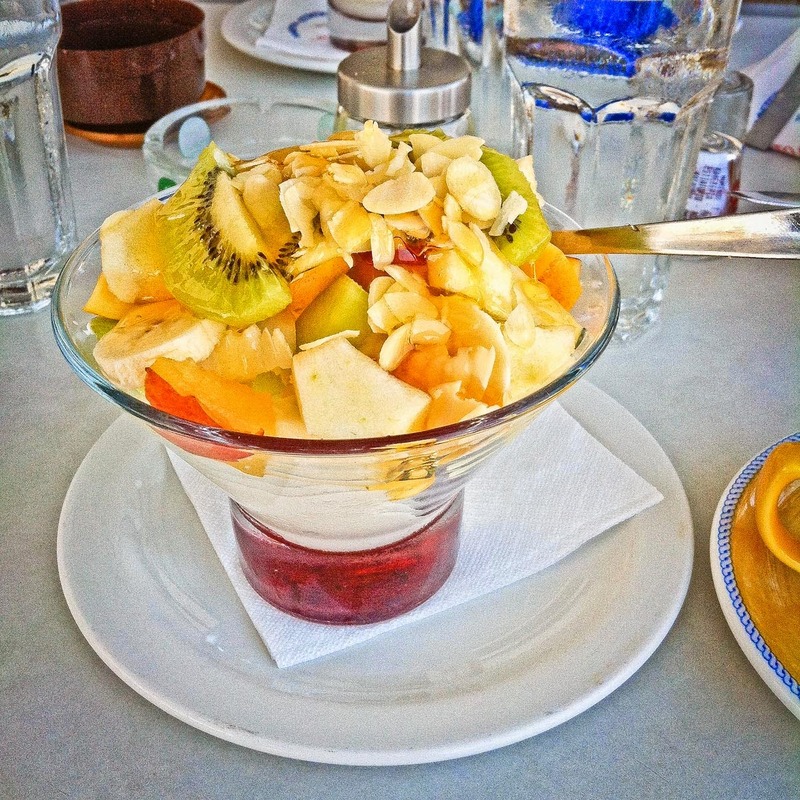 Fresh traditional Greek yogurt with local honey and fruit!